Bruce Jack Wines: are they any good? and what do they taste like? 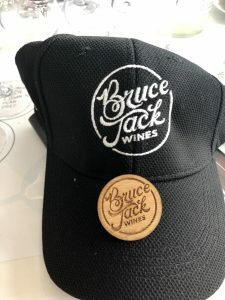 You might remember him as the poster boy of Accolade Wines or you might simply have heard about Bruce Jack Wines and wonder whether they are any good or not. Whatever’s the case, there is no denying that when Bruce Jack makes a splash, people sit up and notice. After last week’s launch of Jack’s new wine venture, Roger Jones assesses the strategy behind the three-tier portfolio, tastes through the range and comes up with his recommendations. The new Bruce Jack Wines portfolio includes a Sainsbury’s range, Premium, Drift Estate plus collaborations with a number of other winemakers. 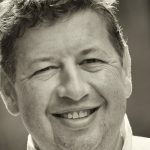 Bruce Jack, for those of you who may have missed the privilege of meeting him in person, is a man with a huge heart for the South African wine industry, helping so many people to showcase their talents over a lifetime of goodwill. Last week at the Bruce Jack Wines launch at High Timber restaurant it was actually more like a wedding than a wine tasting with so many winemakers making heartfelt speeches, whilst wine was consumed with gusto. 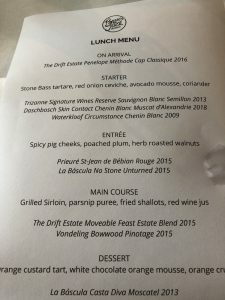 There were great testaments from his team of suppliers, friends and partners including Nadia Barnard (Waterkloof), Julien Johnsen (Vondeling), Pieter Cronje (Uniwines) Trizanne Barnard (Trizanne Signature Wines), Karen Turner (Prieure St Jean De Bebian), and Pepe Fuster (Celler Coma D’En Bonet). Bruce Jack had a mischievous sparkle in his eye and is convinced that the wine industry is ready for a “big bold change”, in what format he is yet to divulge, but he was keen to throw many facts, figures and smiles at the impressive audience of other 50 trade guests who attended the tasting and lunch. 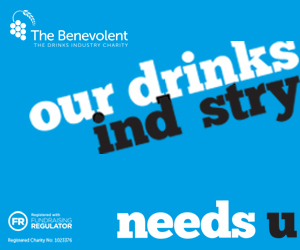 Jack wants to modernise the image of wine consumption to the masses – a bit like Top Gear did for cars. I guess he is right, Top Gear was all about super high performance cars few of the audience could afford but they were being educated and, in time, would climb the ladder – likewise with wine… the story of quality wines must be spread in a better way. Jack noted that lots of people were in the wine industry but not many were making money; wine prices have only gone up 27% in a decade, even though global wine exports have increased by 300% and visitors to Prowein, for example, has increased by 50% (Prowein certainly knows how to make money, being the only trade show to charge an entrance fee to trade visitors). 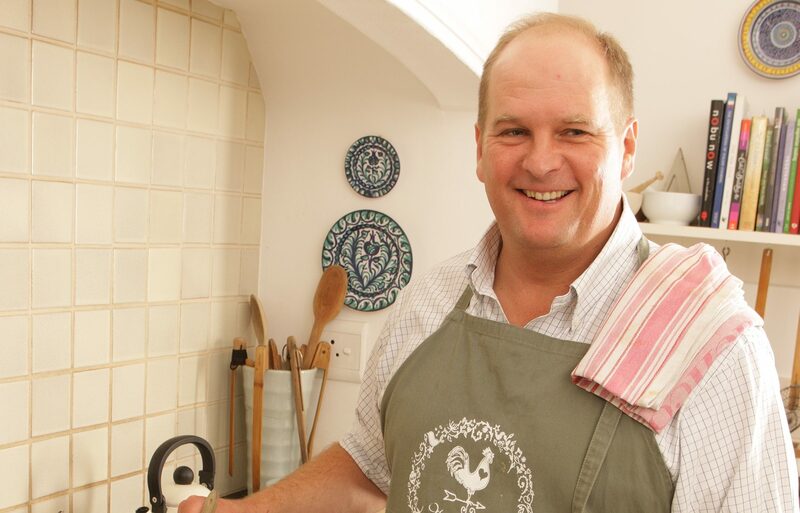 So what is this former poster boy of Accolade Wines now up to? Under the label Bruce Jack Wines and, in collaboration with uniWines Vineyards, he has brought together a bevy of winemakers to produce two tiers in his Bruce Jack Wines project: firstly, a tier aimed at the national retailer (and Sainsbury’s has taken these up) and, secondly, his premium range aimed at the restaurant and high profile independents. 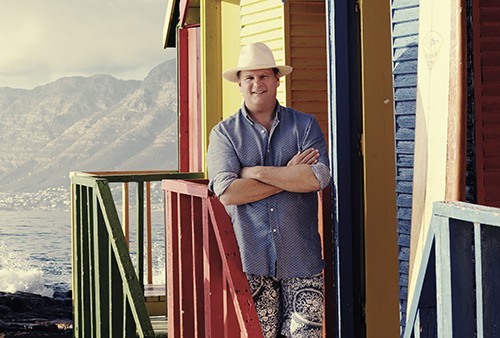 He is also generously promoting and showboating the winemakers’ individual estates scattered across South Africa., that have all contributed to his growing empire. 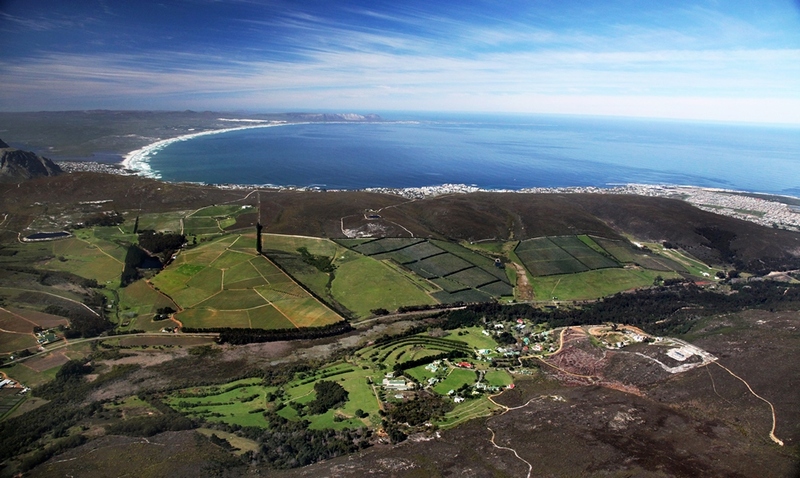 Furthermore, Jack runs his own wine estate called The Drift, in the Overberg Highlands. Not content with just South Africa, he has also brought together winemakers from France and Spain, with Ed Adams MW formerly of Western Wines (and Kumala) as his partner and head of his Spanish adventure, La Bascula (are you keeping up?). Bruce Jack himself has many attributes from tasting caviar for the first time whilst on a prep school rugby tour to the UK and in giving Pinotage its golden halo again. But now he is on a mission to build up a powerful brand showcasing both great winemakers and great wines – whether under his name or under his wing. 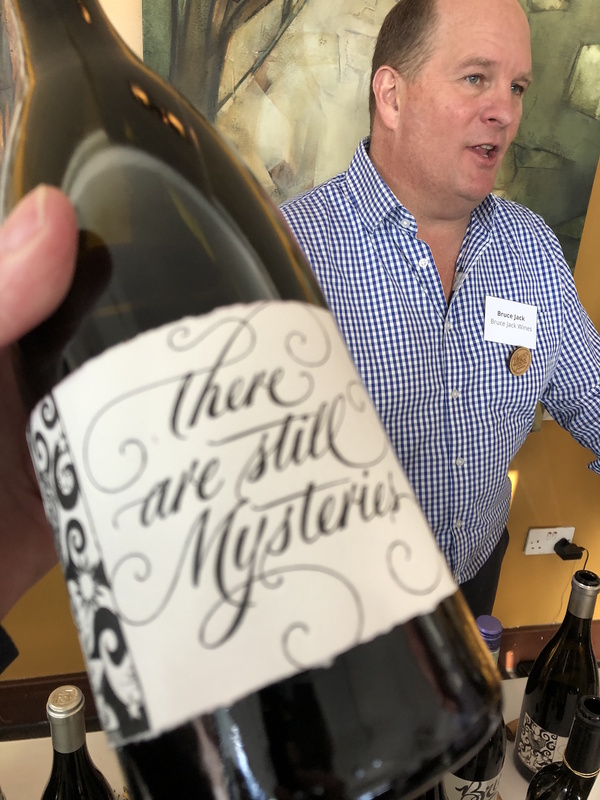 Jack could be called ‘the Poet Laureate’ of the wine world, as he gives as much thought to the label and wording of his wines as he does to the content. 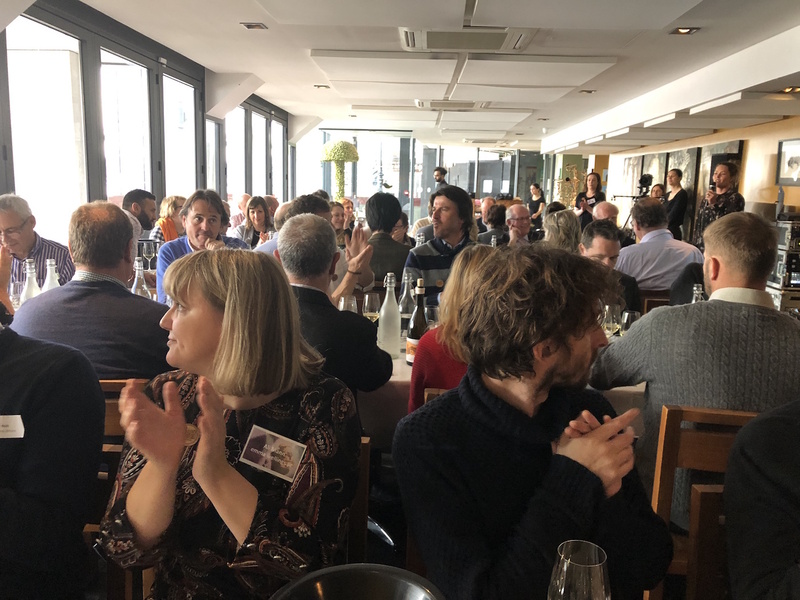 Here are some glimpses of a substantial tasting, it was also fascinating to see the magic of food and wine matching produced by High Timber giving the wines a perfect platform on which to shine. The Bruce Jack, well I might as well call them The Bruce Jack Sainsbury’s Range, as Sainsbury’s have snapped them up, were all well received, and will retail at £7 a bottle nationwide. The Bruce Jack Chenin Blanc 2018, W.O Western Cape, was a classic easy drinking wine that had a lovely acidity (to please the Sauvignon lovers) but with a depth that all good Chenin carries; white stone fruit, nice complexity from the oak and a refreshing finish. The Bruce Jack Sauvignon Blanc 2018, W.O Western Cape, fresh and crunchy green apples, loved the vibrancy, like a Pouilly Fumé with juicy, white stone fruit, quite superb for £7 retail. 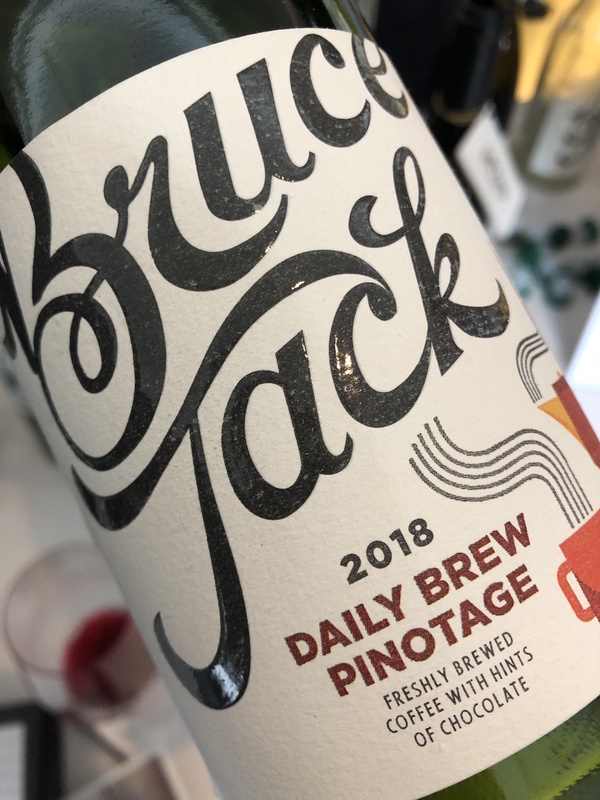 Bruce Jack Daily Brew Pinotage 2018, W.O Western Cape, well if Bruce can’t make a refreshing vibrant Pinotage no one can, this typifies the excellence of how good Pinotage can be with a modern twist, I can see Sainsbury’s customers loving this style. Bruce Jack Shiraz 2018, W.O Western Cape, more of a Syrah style for me with the fresh raspberries in abundance, this is light, fresh and moreish. Bruce Jack Reserve Boer Maak ‘N Plan 2017, this Single Vineyard Chenin comes from Breedekloof, 24 year old vines, barrel fermented. Fresh and fragrant on the opening palate, delicious concentration with Provence stone fruit – complex and layered but with a brilliantly fresh finish enticing you back. Bruce Jack Reserve Clean Slate 2015, Single Vineyard Shiraz from Overberg Mountains; there is a lovely aromatic nose, then on the palate a concentrated purity, textured, this tastes much older, it’s a fabulous beautiful style full of excitement. Bruce Jack Reserve Vloermoer 2000, fortified, flor-fermented Chardonnay from Stellenbosch. An interesting story behind this, as originally it was set up for sale as a Fino, but Jack decided to keep some back and age it in the Amontillado style. For me this wine is a marvel, I have tried many Amontillados in various styles but this comes closest to the best which come from Montilla in Spain. This class act is a stunning, delicate wine that is soothing on the palate; it has layers of complexity but perfectly in harmony with each other. The name derives from “Temper Tantrums”, well this child has grown up into a wonderful Prince Charming. 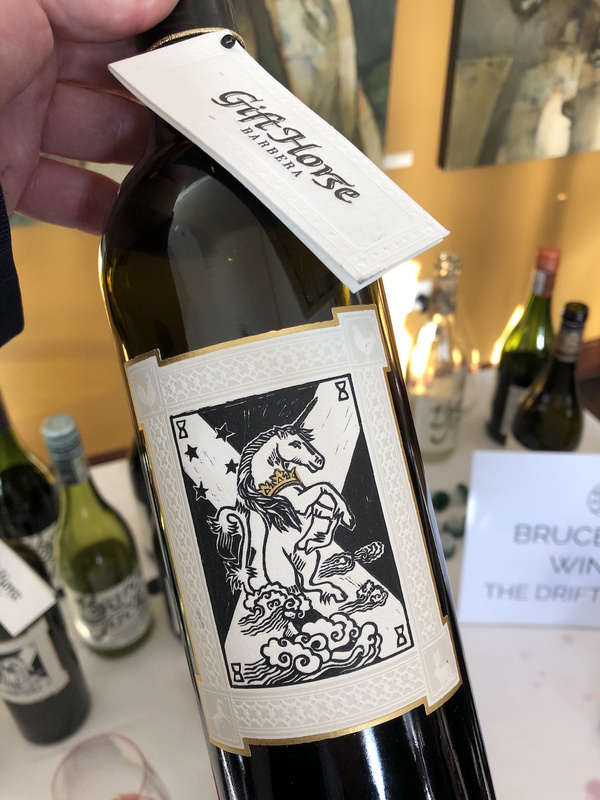 The Drift Estate Gift Horse 2017, Single Vineyard Barbera from the Overberg Highlands. Jack has performed miracles here to produce a 2017 Barbera that is so good and approachable now but will continue to evolve over 20 years. Raspberries, mulberries, milk chocolate, ripe, luscious, juicy cherries – it has it all and then a backbone to carry it along its journey. The Drift Estate Moveable Feast Estate Blend 2015, estate blend combining grapes from eight small vineyards on the Drift Estate. The blend is Malbec 40%, Syrah 32%, Pinot Noir 10%, Touriga 10% and Tannat 8%, giving a beautiful delicate and very fine wine. Although the nose is boisterous, on the palate there are cherries, raspberries, and a silky chocolate/ cigar background; perfectly balanced. The Drift Estate Penelope Method Cap Classique 2016, Jack said it’s the first time he has been allowed to call a wine in honour of his wife; to be fair, when I tried it, it was served in an Aya Champagne glass and I thought Jack was up to his usual generous self in pouring us all Rosé Champagne, but the beauty is within – what a stunner of a wine. There is that perfect, dry, focused, rhubarb-and-biscuit flavour than over-sweet strawberries giving it a lovely grown up style of Rosé sparkling wine. 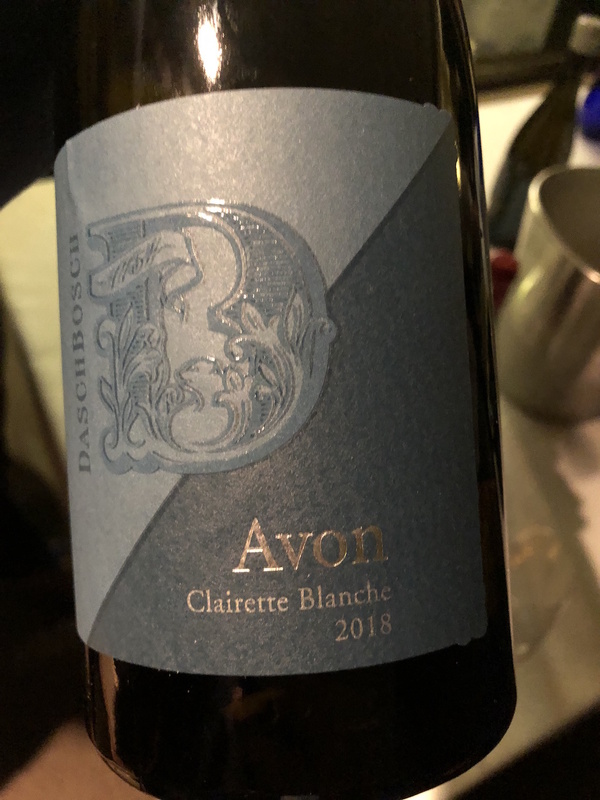 Daschbosch Clairette Blanche 2018, this is an outstanding wine from the Breeddekloof region with great purity and clarity, from old bush vines, whole bunch pressed and aged in old barrels on lees. This has distinct citrus undertones, with delicate yellow and white fruit with a refreshing hint of mountain air. 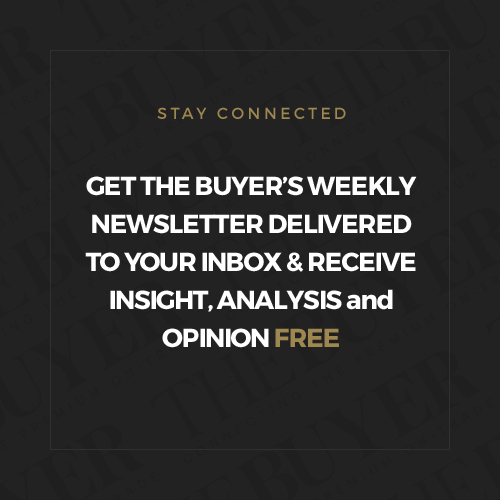 Sainsbury’s takes the Bruce Jack varietals, whilst the Bruce Jack Premium range is yet to confirm distribution; The Drift Estate wines are distributed by Alliance, whilst Boutinot takes up many of the other family including Daschbosch. 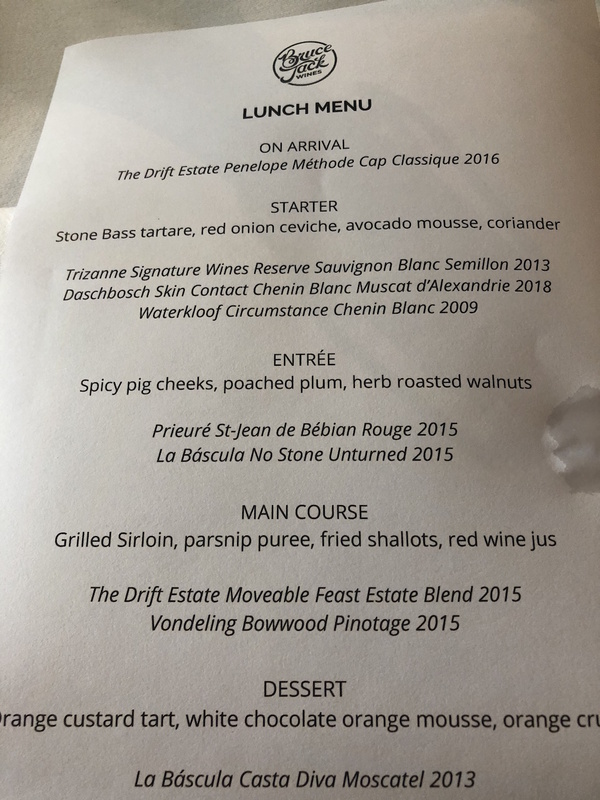 The tasting and lunch were hosted at High Timber Restaurant the home of South African restaurant wine lists in the UK, run by the Queen of Sheba, Neleen Strauss.